Detroit is a place of intrigue. The dramatic rise and fall of the city over the last half century has created a story that is somewhat unique in regards to many North American cities. Much of this distinction is due to Detroit’s significant rise, wealth and economic strength of the post-war period and then decades-long decline, culminating with the recent bankruptcy. To many, there is the perception that the City of Detroit is the “Wild West.” Terms like “clean slate” and “off the grid” are commonly used as descriptors for the type of environment that a business or resident confronts when initially entering the city. While there is clearly some truth to these ideas, the City of Detroit has maintained a basic level of municipal function through these challenging times. Along with excessive business and residential shrinkage and an unprecedented civic bankruptcy, there continues to be a type of growth and expansion that is entirely different than the previous norm. The repositioned urban environment evolving in Detroit is one of alternative means, incorporating efficient and Lean ideals in its implementation. There is a common phrase used by those who advocate for sustainable development: that the greenest building is the one that is already built. Similarly, the greenest and Leanest city is the one that is existing and fully utilized. A recognizable advantage for efficiency is the fact that the City of Detroit has extensive existing built form and diverse, underutilized infrastructure with great potential to expand toward capacity. There are numerous instances where the shear size of the city, its available land, circulatory network and structures has resulted in opportunities that many other urban environments could not offer. Elements within its landscape often have scale that allows for unique accessibility and innovation. There is great opportunity in the city, with its underutilized capacity of available structures to rebuild for the growing numbers of those who desire to live and work in the city’s core. Businesses developing in Detroit are typically efficient by necessity. Due to the economic challenges the city has endured, market demands often have thin margins and require tight business models to succeed. Whether in a retail store, office rehabilitation or residential renovation, the project approach and funding is critical to get a successful result. One way that this minimalist approach to development can be achieved is through the use of available structures and land. As an alternative to new construction, working with an empty or underutilized existing space provides a cost-effective path toward a new place to live or work. The process to accomplish this endpoint of a completed, operational built environment can often be achieved with limited regulation and involvement from governmental departments. The regulatory systems are in flux as part of the evolving City of Detroit and the oversight and thorough review by the officials has been somewhat diminished. The level of governmental involvement often dictates increased or decreased costs and schedule challenges. This limited oversight is often significant to a project’s success, especially when entrepreneurs are working with minimal budgets. Because of these conditions, new start-ups, high-tech companies, stores and residents, all using the available infrastructure, have been able to move in and fully occupy numerous existing buildings. Lean regulation, when achieved, takes advantage of systems and circumstances. There are distinctive examples of this in Detroit. Numerous developers and entrepreneurs haven taken advantage of the available infrastructure in Detroit and contributed to a renewed and Lean built environment. One recent initiative is the creation of a city-wide non-motorized system that is efficiently integrated into the existing vehicular infrastructure. Throughout the city, streets were built to accommodate more users than are currently in the city. Notably wide streets were created before the development of Detroit’s extensive freeway system which, when completed, diminished the need for such width. Additionally, the loss of population over previous decades resulted in decreased use. The street grid infrastructure as built is therefore significantly oversized. This extensive capacity allows for a Lean, simple and inexpensive opportunity to create a non-motorized network throughout the entire city. By utilizing the existing street widths and simply adding painted, designated bike paths, the entire city can accommodate a safe and efficient non-motorized transportation system. To date, hundreds of miles have been implemented with plans for the continued expansion of the network. Numerous current Detroit business initiatives and urban developments incorporate efficient approaches that are specifically Lean in regards to regulation and the use of overbuilt infrastructure. These ventures come in many types, but most often occur due to the infrastructural environment that is unique to Detroit. Opportunity is found in the gaps of the shrinking city. The Power House is an off-the-grid energy producer, public art initiative and neighborhood people hub. The small renovated 1920s house is a power creator, producing its own electricity from solar and wind for multiple structures, with the goal of becoming a localized power grid. Additionally, the Power House name refers to taking control of a community and becoming an example of self-reliance, sustainability and creative problem solving in a challenged district. The availability of inexpensive, empty structures in the neighborhood provides an opportunity to expand the idea of renovation and exploration. Beyond the Power House, multiple redeveloped structures collectively reestablish a neighborhood by incorporating spaces for living, entertainment and work. These uniquely redesigned century-old houses represent a new Detroit typology that stems from creative applications and incorporate Lean, cost-effective adaptive reuses. The Lincoln Street Art Park, initiated as a grassroots recycling center called Recycle Here! 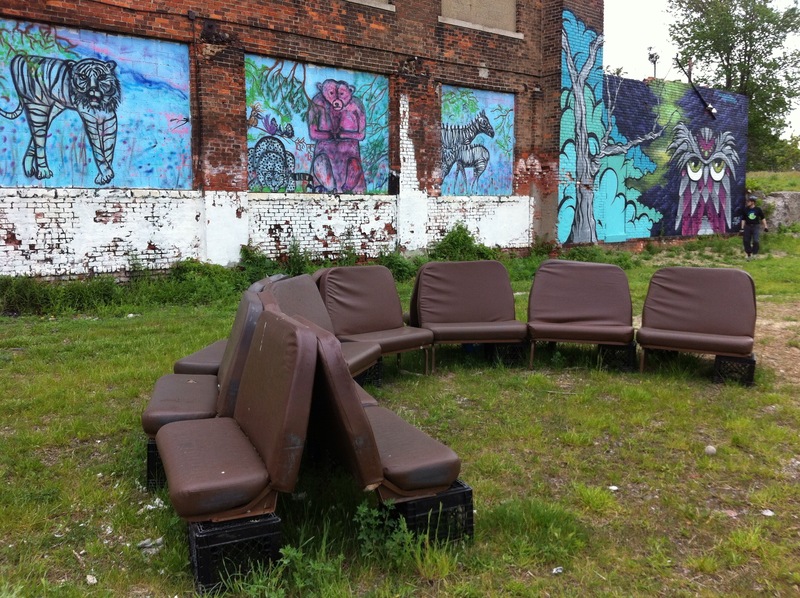 The facility in the New Center district, has evolved into a city program dedicated to uniquely salvaging Detroit materials and turning trash into art. As an extension of the recycling business, an adjacent vacant lot became a public space called the Lincoln Street Art Park & Sculpture Garden, and is symbiotically related to Recycle Here! The park is a place for the public to enjoy repurposed salvaged materials, large murals, and street art created by Detroit artists. The neighborhood amenity was created out of the opportunity of available unused land, an abundance of salvaged material, motivated, creative individuals, and a need for a neighborhood communal public space. With only a few thousand dollars of funding, the drivers of this new community amenity created a place where artists and local residents can come together for events and activities while having an environment where art installations can be continually added, making an evolving kinetic activity hub. Back Alley Bikes has a goal of providing cycling education, services and sustainable practices to the adjacent community. This is significant in Detroit where many people don’t own a car and where biking is increasing as a preferred mode of travel. It began as a summer youth program, in an abandoned building, with the intention of re-imagining Detroit from the ground up and originally planned to provide transportation to young participants. The process was for a community member to come in and earn a bike or learn to repair their own. Over time, the program had become too much work to continue to be managed exclusively by volunteers. Eventually a market-driven, bike sale and repair retail shop was established called The Hub of Detroit, which provided a much-needed resource in the city. As mechanics spent more time in the shop fixing and selling bicycles, The Hub grew to have multiple paid employees. As the retail store expanded, it provided funding to enhance the programming for the Back Alley Bikes service. Detroit’s Fisher building is a dynamic Art Deco skyscraper, fully occupied with office users, but struggles to hold quality retailers at the street level. Nestled into the retail portion of the building is a café called Stella Good Coffee, which primarily provides carryout food and beverages, with a few tables in the adjacent building lobby. Taking over the space after a previous café closed, the owners reopened with a minor paint job and minimal renovation. The process was relatively simple, as the previous establishment was similar. In time, the owners decided to gut the entire space and rebuild it, establishing a fresh design and identify. With the goal of creating a distinctive, Detroit-inspired design, the renovation approach was based on using materials salvaged from deconstructed houses in the city. Once again, the abundance of infrastructure, in this case, century-old wood from abandoned houses, was the asset utilized to create this new Detroit establishment. Salvaged twoby- fours where glued together to create a unique aesthetic for the café counter, seating, tables and shelves. The disassembled historical house, where the materials originated, once sat on Cadillac Street in an east side neighborhood. Stella Good Coffee’s address and aesthetic became such a distinctive feature and conversational element that they inspired another business, a furniture store called Workshop. 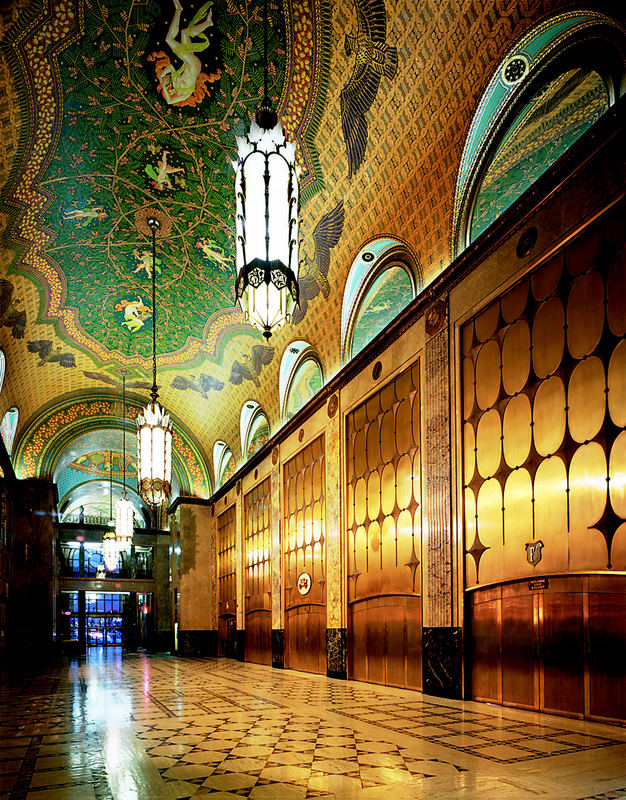 In an available empty space down the hall in the same Fisher Building lobby, the new store was established. The space, simply repainted and minimally decorated, is used as a showroom as well as a manufacturing workshop for the custom products. The available capacity of the retail space, visible to the lobby and the street, includes a mezzanine where the new creations of tables, benches and accessories are assembled on-site. This setup is a testament to the available infrastructure of the city, waiting to be filled in. Detroit offers a unique combination of easily acquired materials, a simple path to opening a business, and quality retail space in distinctive Art Deco buildings where start-ups can immediately project an image of success. In Detroit, many opportunities are possible due to the availability of infrastructure and the reality of limited financial, economic and regulatory obstacles. The potential for Lean Urbanism in Detroit is relative to the quantity of its existing infrastructure and the quality of an underutilized and overbuilt environment. Through a reexamination and thorough analysis of extensive opportunities, Lean solutions will continue to arise and lead to a successful new Detroit. 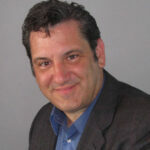 Mark Nickita, AIA, CNU, APA, BSArch, BArch, MArch is an urbanist, architect, retail entrepreneur, developer, educator and an elected municipal leader and President of Archive DS, an award-winning, multi-disciplinary design firm in Detroit and Toronto. Archive DS has distinct expertise in the development, enhancement and the regeneration of existing, pedestrian-oriented urban environments including downtowns, neighborhoods, developed corridors, mixed-use areas and underutilized districts of post-industrial cities. Mr. Nickita is a City Commissioner and has served as Mayor of Birmingham, Michigan and is co-owner of urban retail establishments in Downtown Detroit, including the Pure Detroit Stores, The Rowland Cafe and Stella Cafes.